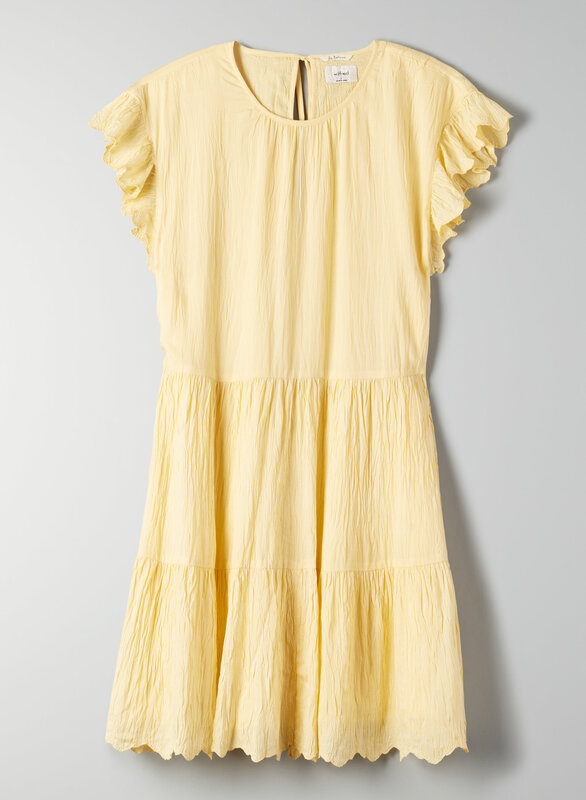 I was at an Aritzia and one of the Sales Associates was wearing this dress with a little leather jacket. It looked really cute! so I ordered the XS size all my Aritzia dresses are XS. However, because I'm 5'6 (Size 2), I should have gotten the Small since i find it's a tad short, plus the line in the waist sits bit higher. Still love the dress but I will be exchanging it for a Small instead of XS.